Our reception extends a welcome to anyone wishing to obtain an introduction to Dianetics and Scientology. We are open morning to night, seven days a week. Whether attending scheduled activities or simply touring the Church, visitors are welcome in the café. The adjoining stairway provides access to the downtown city skywalk, which passes through the second floor of our Church. Our Public Information Center offers some 500 films, providing a complete introduction to every aspect of Dianetics and Scientology—including the beliefs and practices of the religion and a biographical presentation on the life and legacy of our Founder, L. Ron Hubbard. Our Information Center further includes exhibits on the many humanitarian initiatives and community outreach programs our Church sponsors. Visitors are welcome to tour the displays at their leisure for as long as they wish and to return as often as they like. At the heart of our Church is the 300-seat Auditorium and Chapel. It provides for Scientology congregational ceremonies and services, as well as weekly Church graduations, public film showings, workshops and a host of events for the entire community. The Auditorium was originally built to house the nation’s first IMAX giant screen dome theater. The bookstore makes available Founder L. Ron Hubbard’s works on Dianetics and Scientology. In all, Mr. Hubbard’s legacy comprises tens of millions of published words in dozens of books and thousands of recorded lectures, all available in 16 languages. A Materials Guide Chart provides an informational overview of every book and lecture series and the subjects contained within each, and an audiovisual system further allows one to listen to selections from Mr. Hubbard’s lectures. 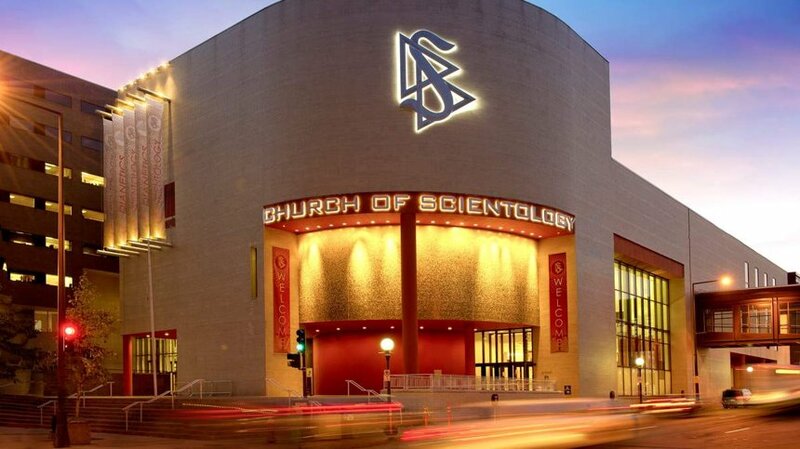 Our Church houses expansive facilities for Dianetics and Scientology Introductory Services. These include the Success through Communication Course, which teaches the underlying skill to succeed in both work and social relationships. Among the many further services available are evening and weekend Dianetics and Scientology seminars, providing an overview of fundamental principles and their application in life. L. Ron Hubbard developed the Purification Program to free individuals from the mental and spiritual damage caused by drugs and toxins, through a regimen of exercise, sauna and nutrition—all of which are provided for in our Purification Center. The mosaic tile mural pays homage to the historic Stone Arch Bridge that spans the Mississippi River. 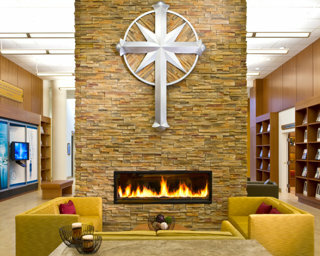 The Hubbard Guidance Center is where Scientologists receive one-on-one spiritual counseling, known as auditing. Just beyond the waiting room are dozens of auditing rooms, each one ideally appointed to provide the calm, distraction-free setting requisite to achieving spiritual enlightenment. The Academy is where Scientologists train to become auditors (spiritual counselors), capable of applying the technology of auditing to help others attain spiritual freedom. The Twin Cities Academy comprises multiple course rooms, each devoted to a different aspect of training. As is traditional in all Churches of Scientology, the Office of L. Ron Hubbard stands in honor of our Founder and symbolizes that this Church is true to his writings and ideals. Welcome to the Church of Scientology of Twin Cities. Since 1965, we have served a growing congregation in Minneapolis and St. Paul. It is with great pride today we extend our help to communities across Minnesota from our new home in downtown St. Paul. 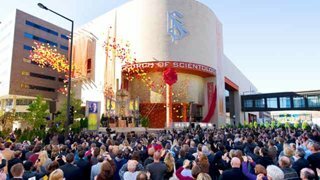 Our new Church realizes Scientology Founder L. Ron Hubbard’s vision that all Churches of Scientology become what he termed Ideal Organizations (Orgs). Ideal Orgs not only provide the ideal facilities to service Scientologists on their ascent to higher states of spiritual awareness and freedom, but they are also designed as a home for the entire community and a meeting ground of cooperative effort to uplift people of all denominations. To that end we share our Church and our many social betterment and outreach programs with the Twin Cities. We look forward to working together with every individual and group dedicated to achieving our common goals of a drug-free, crime-free and thriving future for all. Come in today for a free self-guided tour of the Public Information Center.